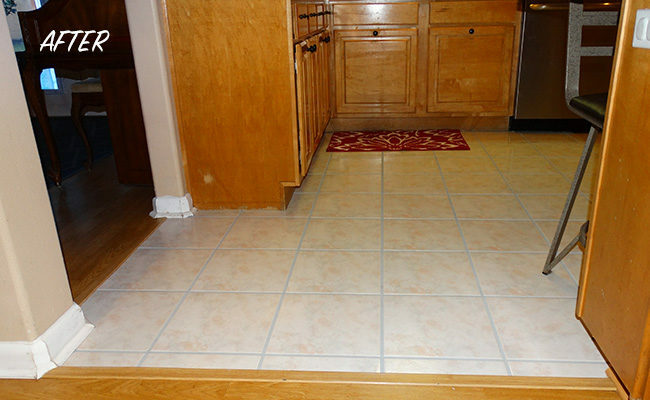 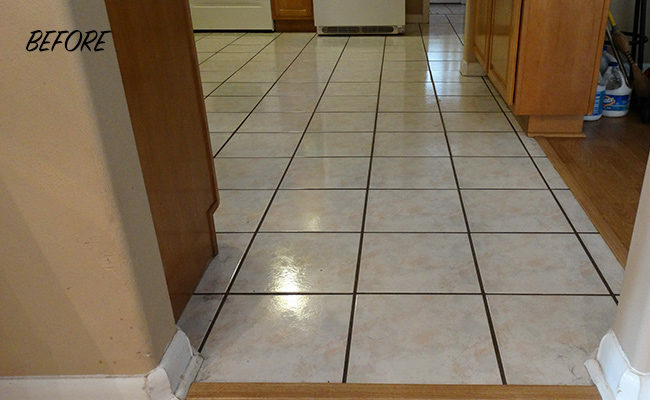 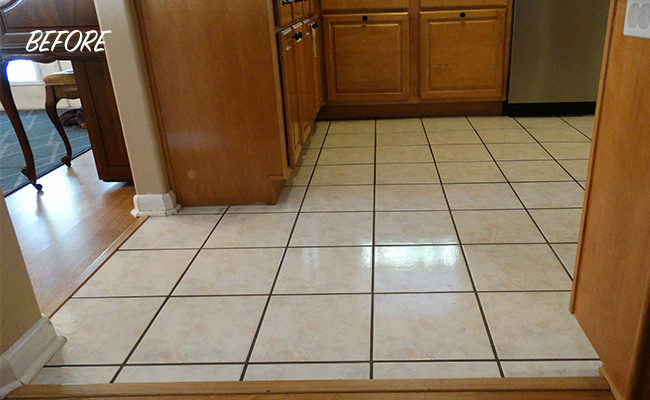 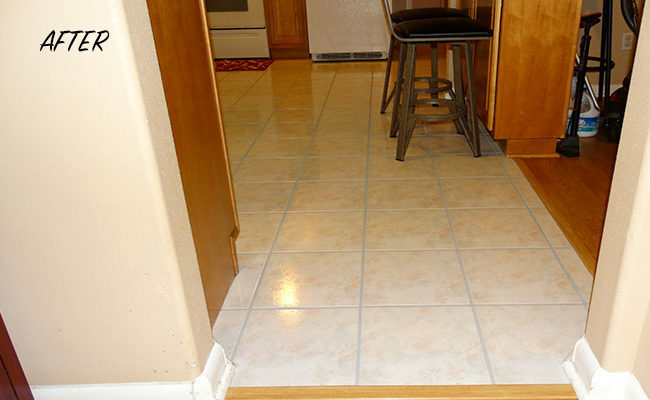 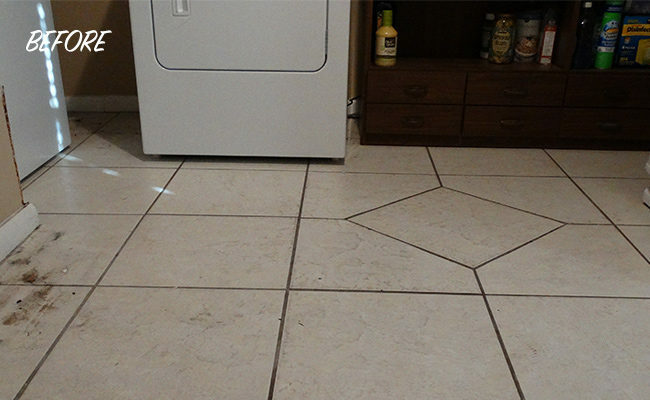 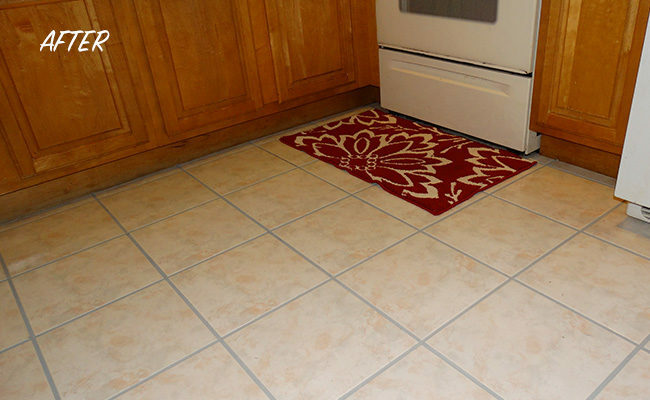 The Orlando, FL owners of this tile and grout kitchen and laundry room floor really disliked the appearance of the dark, dirty grout lines, but they wanted to get a few more years of use out of their floors before having them replaced. 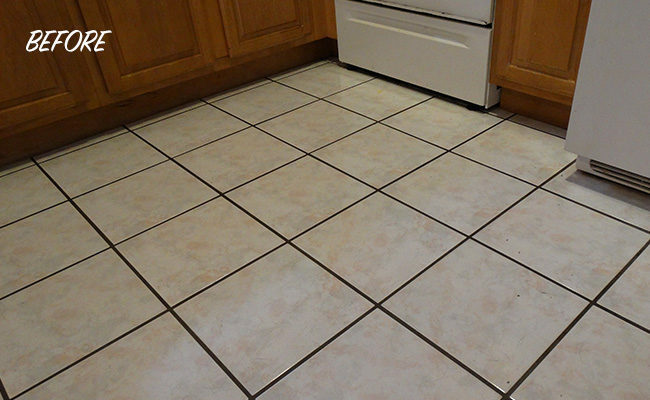 We cleaned the tile and grout lines, flushing dirt and contaminants from deep within the porous surface of the grout lines. 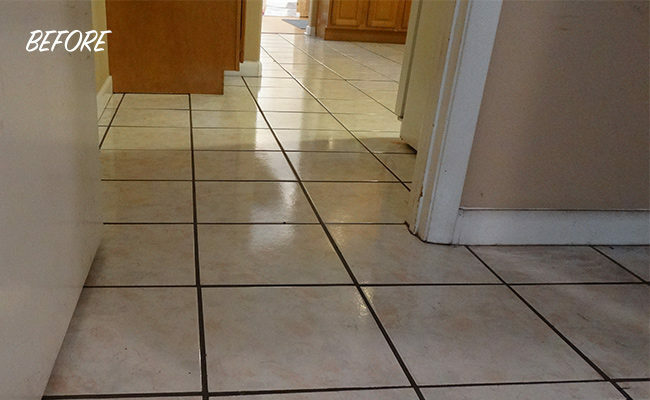 Our tile and grout deep cleaning services (we also provided color sealing services) produce remarkable results, as you can for yourself in the BEFORE and AFTER images. 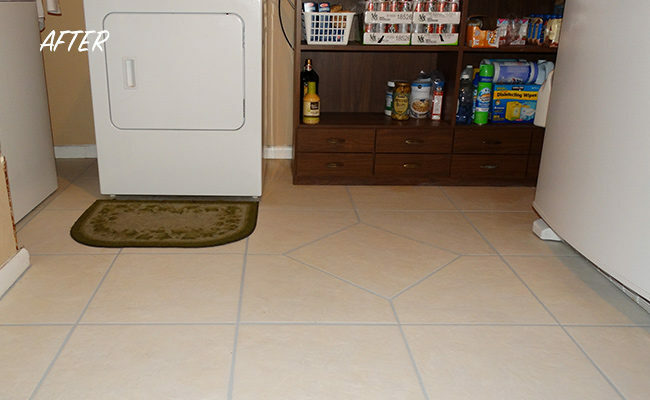 The homeowners were very pleased with the outcome. 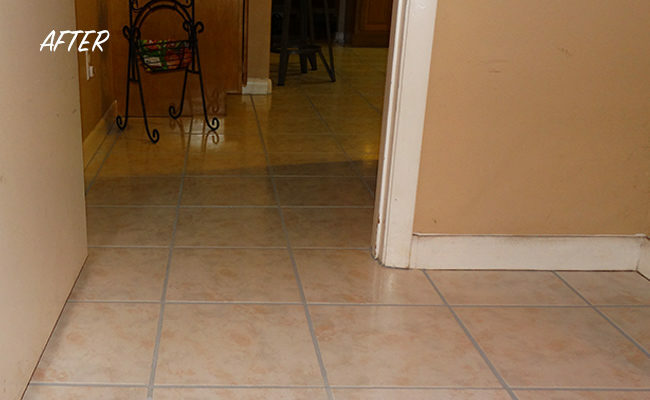 For a FREE estimate on tile and grout cleaning services in the Orlando, Apopka, Maitland, Winter Garden, Ocoee, or Clermont area, contact us online or call (407) 947-1416 today.